Thoughts Of Enthusisam And Courage. 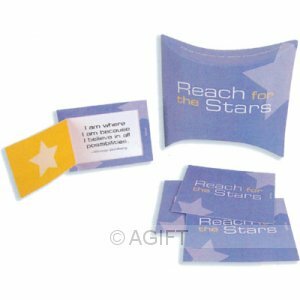 Each card opens to reveal a brilliant quotation that will touch your heart and colour your dreams. A fun, fresh way to encourage friends, family and co-workers. 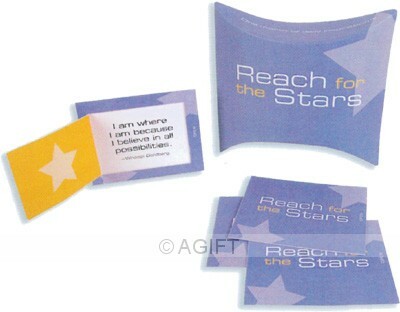 30 inspirational cards enclosed in each packet.